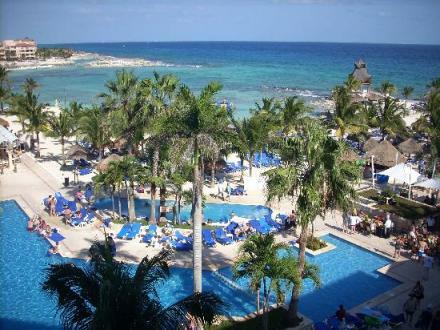 Dreams Puerto Aventuras is an all inclusive resort for couples, families and friends! This gorgeous beach resort in the Riviera Maya is only 20 min. north of Tulum and 25 min. south of Playa del Carmen. 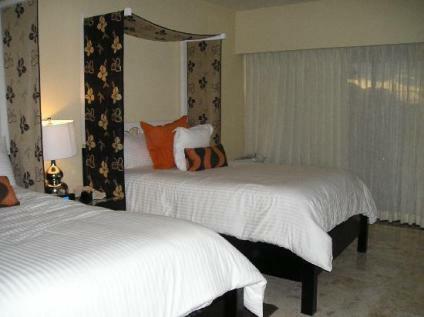 This resort boasts of spacious rooms with luxurious amenities. There is a neighboring yacht filled harbor for some fun in the ocean! Hideaway beach spots and thatched roof palapas and beach beds are all over the resort. Close by there is a Golf course, small market and lots of shops. 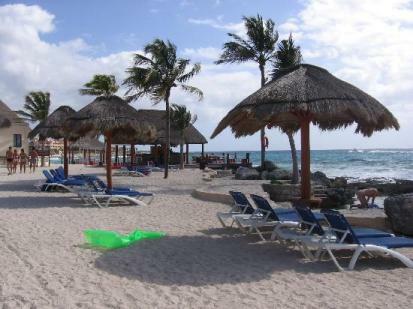 Check out the beach here at Dreams Aventuras. What is unique about the Dreams Puerto Aventuras? This picture shows the ocean and pools at this resort. What are the pools like at this resort? 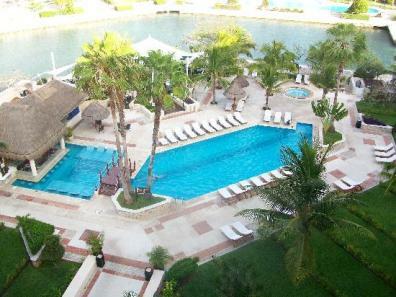 Dreams Puerto Aventuras has 2 large pools! Lots of beach canopies and chairs line the pools so there is always a great place to sit. Enjoying drinks and food by the pool or beach is easy with one of the waiters always at your service. Kids will make new friends! What restaurants are this Riviera Maya Resort? All the restaurants have a great assortment of foods that you will be pleased with! For a special, romantic night you can have a romantic candlelight dinner on the beach for a fee, but the memory is worth it. What will my room be like at this Riviera Maya resort? Here is a picture of a suite at this resort. If these amenities sound great to you, then you may want to do the Preferred Club! Dreams Puerto Aventuras has created the Pevonia Spa to relax you and provide all kinds of treatments for your body. 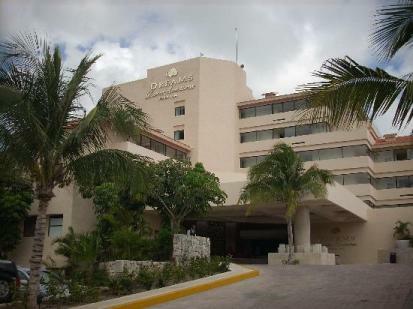 This all inclusive resort also has a fitness center with treadmills, stairstep, bikes and free weights to keep you on your workout schedule even in the beautiful Riviera Maya.